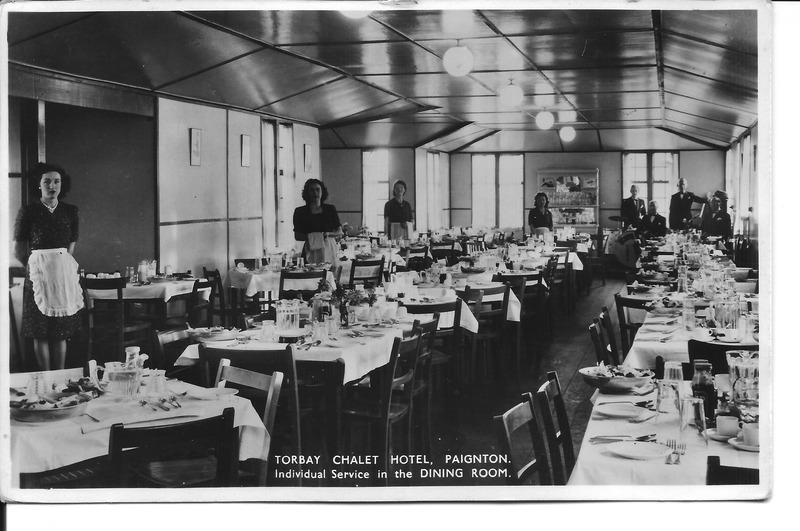 Torbay Chalet Hotel Paignton, Devon. Great that my Dad kept in touch with his mum! 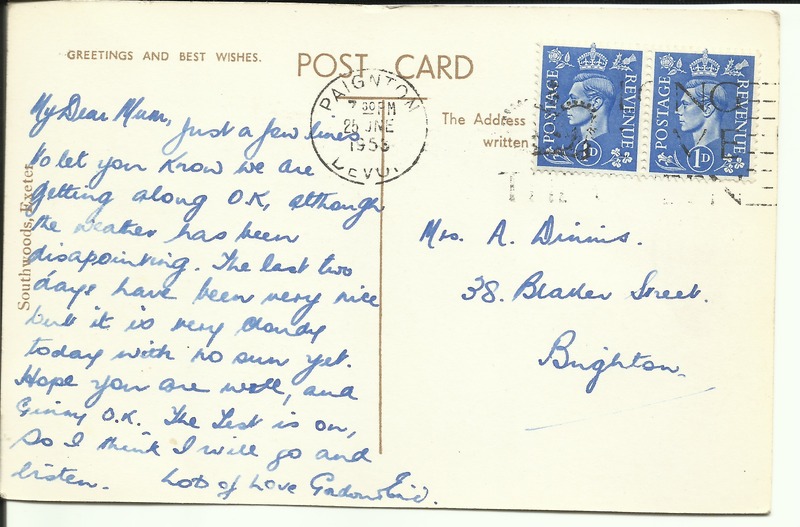 This entry was posted in Annie Cleeve, Enid May Howells, Gordon Charles Dinnis, Letters and tagged Devon, Paignton, postcards. Bookmark the permalink.